In Greater Cincinnati and Northern Kentucky, Overhead Door Company of Northern Kentucky is your authorized local garage door expert. Our highly trained technicians provide top quality sales, service and repair for garage doors, garage door remotes and garage door openers. 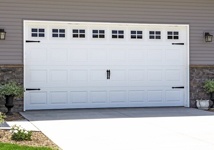 Whether you need to replace your garage door spring or need a full garage door installation, Overhead Door Company of Northern Kentucky can help. We offer free sales estimates, and with nearly 20 service vehicles, we can provide unsurpassed garage door customer service for homeowners, builders and commercial contractors. Our Northern Kentucky showroom offers design inspirations for garage door solutions, with a full range of styles, colors and prices designed to fit your specific garage door needs. Find out what our customers are saying about our service, then schedule an appointment. 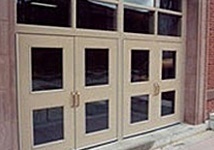 Wood, fiberglass, aluminum and steel garage doors including energy-efficient and insulated options. Explore the full range of residential garage door options. 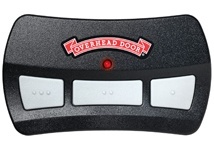 Powerful, quiet, and durable garage door openers open any size or weight garage door, with standard built-in safety features and maximum performance. 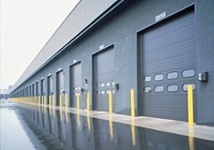 A full range of commercial garage doors to meet your needs including sectional steel, highly energy efficient insulated doors, aluminum glass doors and a wide range of reliable commercial operators. Warehouse dock equipment options including dock levelers, dock seals, and dock shelters are part of the full range of commercial garage door products we offer. 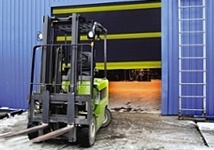 Our rolling steel door options include security grills, counter doors, shutter doors, and fire-rated doors for the full range of commercial rolling steel door needs. 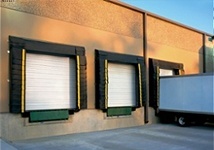 In commercial operations, high speed doors can make a critical difference in temperature control, security, and more. 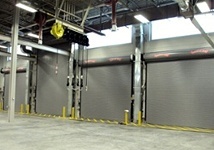 With commercial sectional and rolling steel options, our high speed doors are designed to improve your operations. Garage door and garage door opener service, repair, installation, and replacement are all services our expert and highly trained service technicians supply to our residential and commercial customers throughout Greater Cincinnati and Northern Kentucky. Commercial steel entry doors including hardware, doors and frames, and everything else needed for a commercial entry door. 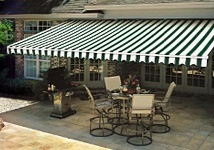 Our full range of shade products offers ideal solutions for home owners and businesses alike. Create shade when you want it and enjoy the sun when you don’t. Learn more about residential and commercial options. 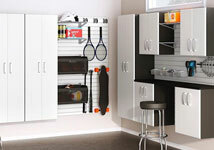 Get the most out of your home's storage space - organize and declutter with garage storage solutions including garage storage cabinets, garage wall storage solutions, overhead storage solutions, and garage flooring that transforms your space. Whether you need a new garage door opener remote control, keyless entry, or any other garage door replacement part for commercial or residential use, our complete parts department has the replacement part you need to have your garage door working smoothly. We service and install parts, too. 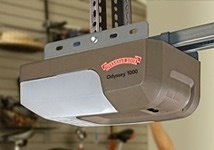 Whether you're searching online or asking your digital assistant to "find garage door opener repair near me", Overhead Door Company of Northern Kentucky is your garage door resource in Cincinnati and Northern Kentucky. We provide garage door, garage door opener, and garage door remote service, repair, installation and replacement to Cincinnati, Northern Kentucky, and surrounding communities. Our service area includes Anderson, Blue Ash, Hyde Park, Loveland, Mason, West Chester, Western Hills, and many more. Our service area includes Alexandria, Burlington, Ft. Mitchell, Ft. Thomas, Florence, Independence, and many more. What Are Your Neighbors Saying About Us? asking where our garage door was purchased and I will definitely send them to you." 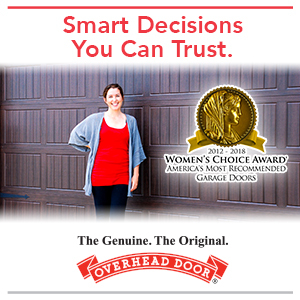 Overhead Door Corporation receives the Women's Choice Award for the 6th straight year. 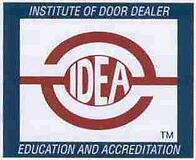 Overhead Door Company of Northern Kentucky is accredited by the International Door Association.